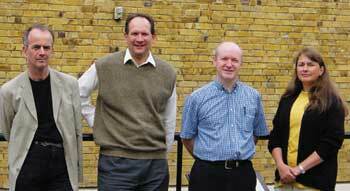 My colleagues and I were devastated by the news of the untimely death of our collaborator and friend George Fraser (22 July 1955 — 18 March 2014). George had a unique combination of vision of the applications of detector physics, knowledge from space research, optics, and electronics which is a huge loss to the whole research and imaging community. He was Professor of Detector Physics and Director of the Space Research Centre of the University of Leicester. I had the privilege of working with George from soon after I joined the University in 2000. 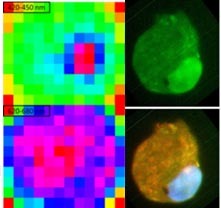 We were interested in spectral imaging and quantitative fluorescence microscopy. Within a short time of our first meeting, it was clear that the detectors he was working with for space applications could address the problems we were facing in microscope imaging. 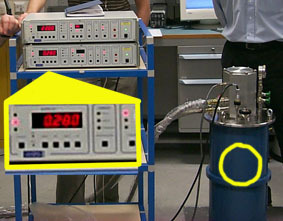 These included spectral imaging, to get away from the need to put filters or gratings in front of fundamentally monochromatic detectors, and the quantification of signal. 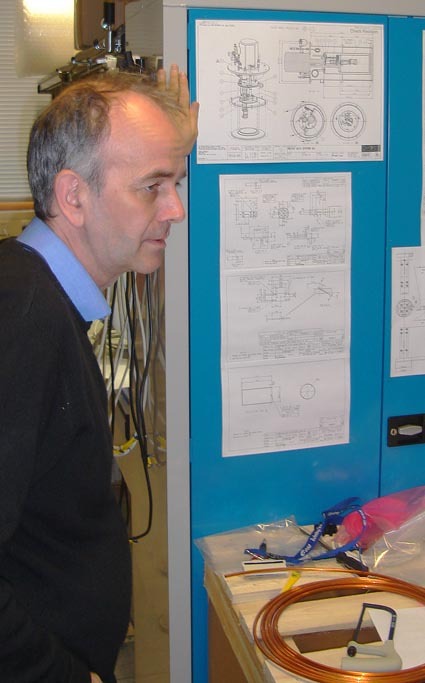 Our discussions soon led to collaboration exploiting his knowledge of novel detector technology, and after proof-of-principle experiments with George at European Space Agency Technology Centre ESTEC, we wrote two manuscripts and a patent (linked below). Moving beyond the preliminary experiments, it became clear there were additional advantages in huge signal-to-noise ratios, background rejection, and novel ways the detectors could be used with the additional dimension of photon arrival time. Another strength of George soon became apparent in the wish to exploit the technology. In October 2004, we founded a company, BioAstral Limited, to develop the technology for a broad range of applications in biology. As we wrote, the STJ cryogenic detector is 1000 times more powerful at detecting fluorescence in biological assays than current technology, and it is unique in giving the colours of photons arriving without resort to filters, gratings or other spectroscopy. 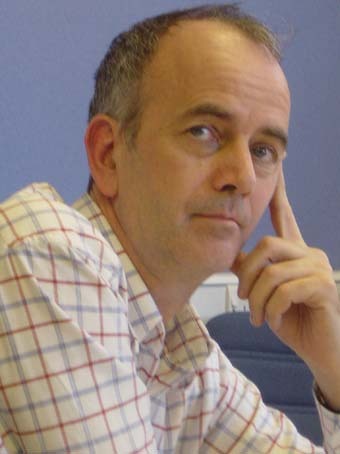 George had amazingly broad interests and unique insight into applications of his research, in technical and commercial terms – he really knew what ‘impact’ was. As such, he was looking for ways that Space science, and particularly his expertise in imaging, could be developed into a commercial product. At the time of his death, he was a Director of three commercial limited companies, BioAstral, Spectral ID and Gamma Technologies, as well as a Director of the National Space Centre’s NSSC Operations. Developing the imaging technology where I was involved had formidable technical challenges with respect to obtaining the temperatures required for operation, building the electronics and engineering both the optical and electronic outputs, and George was up to continuous developments in this direction, towards having our own detector connected to a microscope in Leicester. Work he led ranged from getting the temperatures of a few hundred millikelvin without needing hundreds of litres of liquid helium, through to trapping of the earth’s magnetic field in the superconducting junctions and googlies like Oxford Instruments supplying US 120V equipment with UK 240V connectors which slowly blew up. Each one of challenges George could overcome with innovative solution, but sadly we never truely got beyond ‘first light’ in telescope terminology with the system in Leicester. In other work in biology, George was able to use his insight in mathematical analysis of photon colour based on novel understanding of the optical properties of fluorochromes used in biology. This lead to some really interesting work and clearly could have been exploited for improved extraction of data from any multifluorescence assays used in biology. While there was substantial work involving a number of students, these ideas were only published in a patent (see below). A huge regret in the work with George was that we never succeeded in obtaining any significant funding to develop the detector technology to the point it could be used routinely in biology. All our work was done with shoe-string funding, and we all were putting giant amounts of effort into writing applications and discussing the implications and applications, but it was all regarded as too early stage or too late stage. I will miss my regular and wide ranging discussions with George on imaging and analysis. I remain in no doubt that cryogenic detectors have a major role in biology, as well as space science, in the future. Their development has been set back enormously by George’s sudden death. I hope that one of the many memorials to him will be the future widespread application and exploitation of STJs and TESs. We are now working to complete this work. We have a patent issued for use of cryogenic detectors – either the fast-responding STJ superconducting tunnel junctions, or slower TES, transition edge sensors. This entry was posted in Collaborators, News. Bookmark the permalink.